So for about 6 weeks now I've been completing the Kayla Intsines 12 week bikini body guide. I have always been hung up on my body image. A few years ago I found I have put on more pounds then I cared for. I have always been naturally slim but for some reason I seemed to be more "soft" then I wanted. I decided to take action, I joined a gym and ran off nearly 39lbs. I was so happy when I reached 125lbs, body confidence is such a great thing and after a hard slog I found mine. Last Febuary I had a job change, I went from being on my feet all day at a busy super market running around for 10+ hours to a 9-5 sat at a desk. I found at my office job it was always someone's birthday meaning cake galore, biscuits chocolate you name it it was thrown at you. I also found sat at a desk I wanted to just eat.all.the.time. 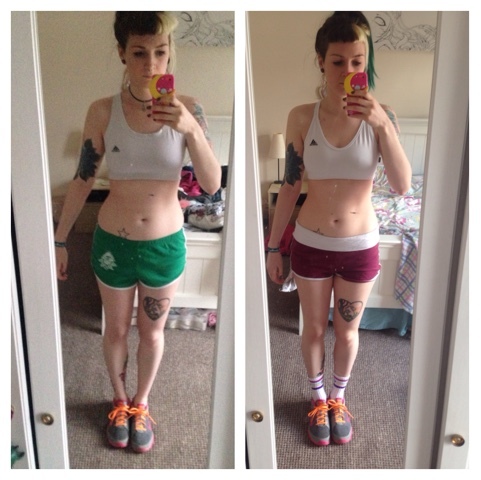 Before I knew it I was at 137lbs, I'd piled on nearly a stone since the year before and my body confidence gone. 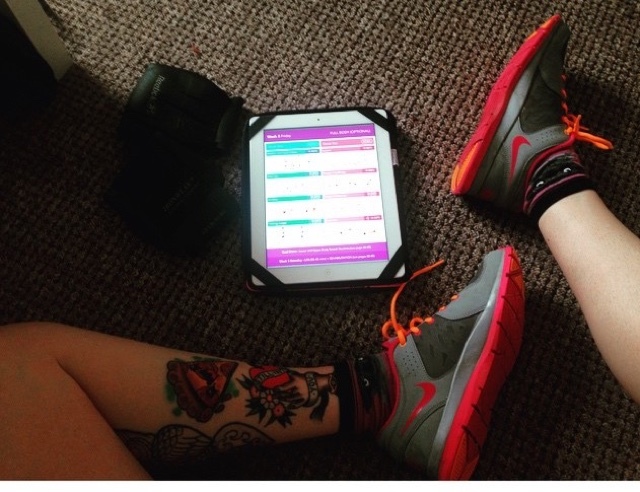 I'd been watching Kaylas Instagram for a while, watching people's progress and transformations. I thought I'd give it a shot. The guide consists of 4 weeks pre-training of 3 nights a weeks of 2 circuits done twice over as many times as you can in 7 minuets. Then low intensity cardio the other days, so for example 40 minuets of running. In the past 6 weeks I've noticed some difference. My stomachs not as bloated, I'm starting to tone up and feel stronger. I guess slowly my body confidence is coming back. 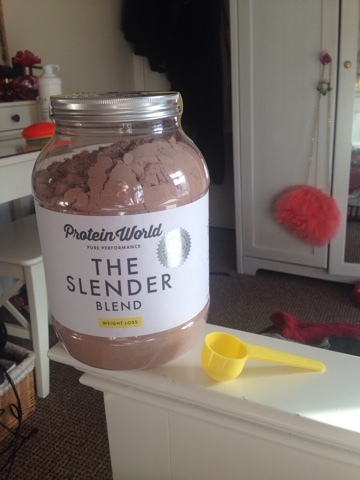 I've recently just bought protein worlds "slender blend" which I'm so excited to try alongside the work outs I've been doing. I have my up and down days where I can flit from loving what I see in the mirror to absolute self loathing. I guess that's something else I have to work on. I need to learn to cut the sugary stuff, I have one serious sweet tooth. 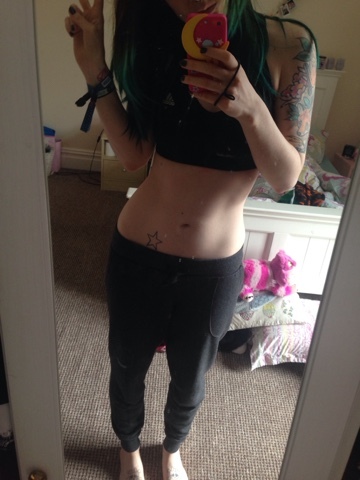 I'm hoping at the end of all this I'll have a body I'm proud of again and my body confidence back.